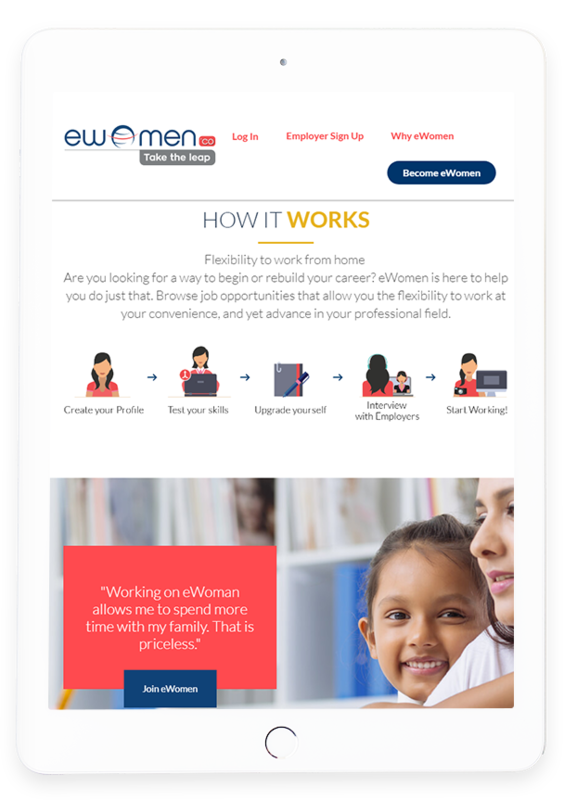 eWomen is an online job portal for women seeking work from home opportunity. 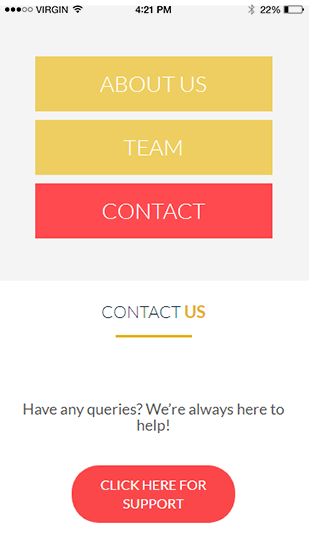 The portal helps them to connect with companies offering such projects. 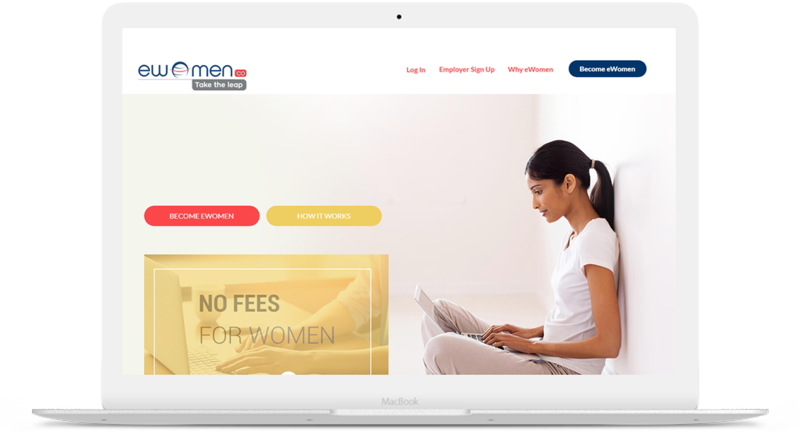 eWomen.co has come up with a revolutionary initiative towards women empowerment, facilitation work from home opportunities to the Indian women in more than 50 fields with best and assured payment. 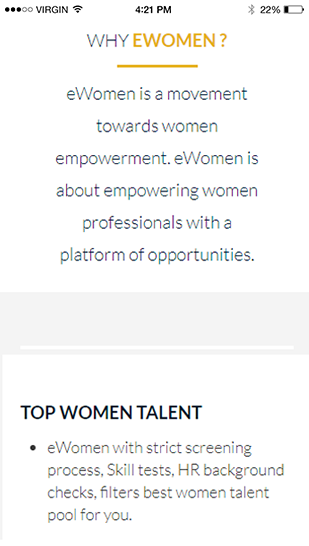 eWomen not only provides the best solution for different talents, but it also helps them to improve where they are falling behind and by this, brings improvement in their life. 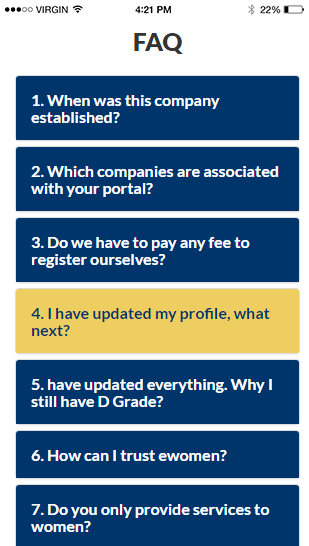 The portal has an easy signup feature. 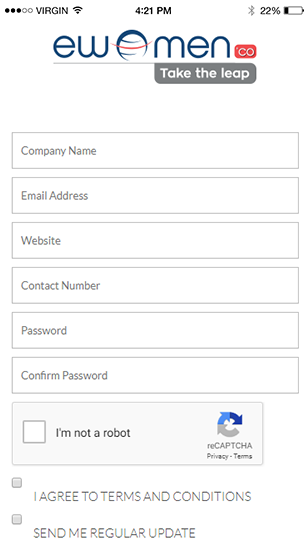 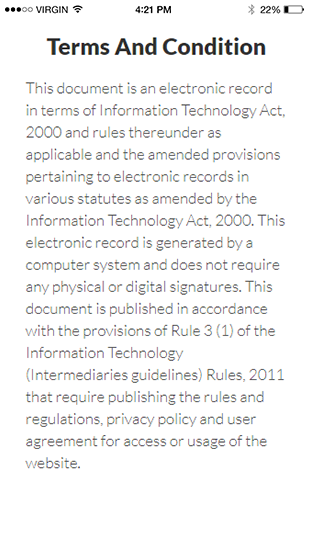 You need to enter your personal details, skills and once all the details are verified you immediately get listed to the company’s suggestion list. 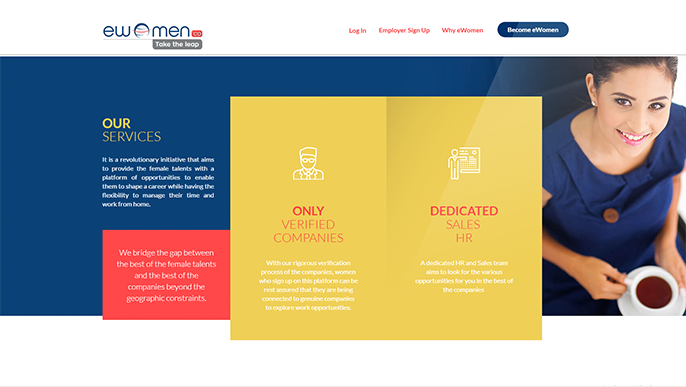 On being hired, the agreed payment is made on the completion of each milestone.